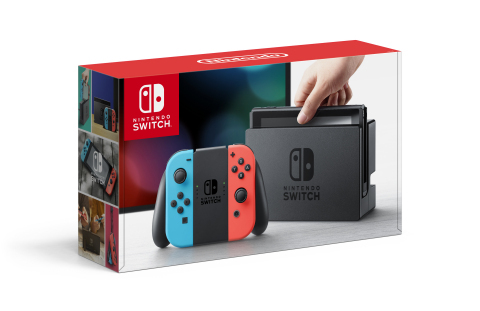 REDMOND, Wash.--(BUSINESS WIRE)--Nintendo Switch set two new records from Thanksgiving to Cyber Monday: It became the best-selling Nintendo console in U.S. history for that five-day period, surpassing even Wii system sales. Nintendo Switch also had its best-selling week ever in the United States. In fact, according to Adobe Analytics, Nintendo Switch was among the most-purchased items online on Thanksgiving Day and the overall top-selling video game product online for the Black Friday-Cyber Monday time period.